Last month we kicked off our first ever plugin developer showcase by featuring our very own Vladimir Prelovac. Now it is time to start moving onto the first of many independent plugin developers to come in this continuing series. You may be wondering what you can expect from these posts – what information of value they can bring to you. Well, let me put it like this – there are few people more involved with and more knowledgable about WordPress than experienced plugin developers. An opportunity to tap into their knowledge base and expertise is not one to be wasted. Besides – these are the guys behind some of the most popular WordPress plugins in existence. Ones that you use on a daily basis. 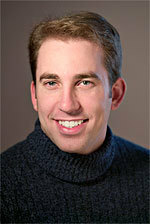 You may not have previously considered the fact that they actually have a hand in the ongoing success of your websites. 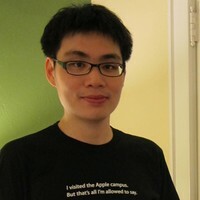 Perhaps no one could better represent evidence of that fact than Lester Chan. Today’s interviewee features an astonishing four times on the WPMU Top 100 Plugins list – more than anyone else (including the likes of Automattic and Joost de Valk). That’s right folks – nearly 7 million downloads at the time of writing, with an average rating of well over 4 stars. Not bad for a guy who does plugin development in his spare time. WP-Polls – add a poll system to your blog. WP-DBManager – take control of your WordPress database with this toolkit. 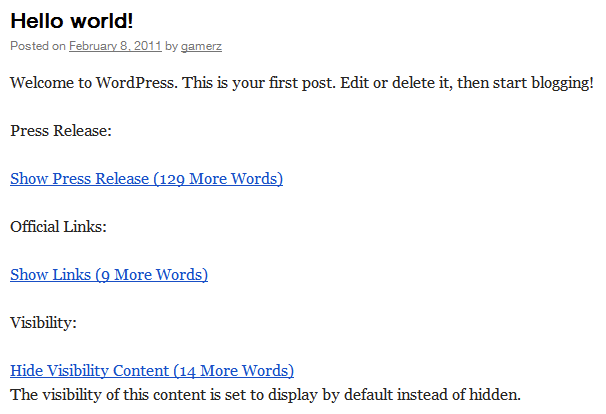 WP-PostRatings – add a rating system to your blog’s posts/pages. WP-PostViews – display on your blog how many times a post/page has been viewed. WP-ShowHide – embed content within a blog post/page and toggle visibility via a hyperlink. The great thing about Lester’s plugins is that they all provide an element of functionality that can positively affect your site – whether it be database optimization, or post ratings. And that, at the end of the day, is precisely what a plugin should do. Lester was kind enough to take the time to answer a few questions for me, and his answers revealed some interesting insights. What drives you to develop free WordPress plugins? I would primarily say passion. I don’t really make much money from the donations. The money I get from donations are used to pay my hosting bills, domain name and some good meals! Another reason why my plugins are free is because the moment you start charging for them, you need to devote more time – especially on support. As for ads, I hate (strong word there) them, so it has never come across my mind to place ads within my plugins. Even on my own site, you will see no ads. Where do you find inspiration for the plugins that you develop? My inspiration comes from forums like vBulletin and IP Board. You may notice that most of my plugins are existing features of those forums – like polls, online users, and pagenavi. Of course some come from blog site – my latest plugin was inspired by Engadget’s way of embedding press releases within posts. Lester's latest plugin, WP-ShowHide, in action. What is the secret behind the enormous number of downloads that your plugins receive? I would say that I started early, when there weren’t that many plugins available. Back then, my plugins were very niche and one of a kind and hence through blog posts and recommendations, I got more downloads. As I used my own plugins on my own blog, I would roughly know what features a certain plugin would need in order to be useful. Out of all the plugins you have created, which is your favorite? 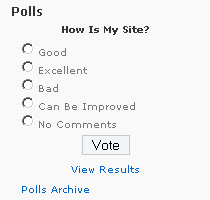 I kinda like WP-Polls – it is the first plugin I created and I it holds sentimental value! What plugins would you recommend for our readers that they may not have heard of? On my own website, I am using Breadcrumb NavXT and Maintenance Mode. As the name suggests, Breadcrumb NavXT allows you to display a breadcrumb navigation of your WordPress blog. Maintenance Mode is something I use when I carry out major “upgrades” to my site. This ensures that the visitors will not see any ugly PHP errors until I am done! If you could sing the praises of one other WordPress plugin or theme developer out there, who would it be? I would say Alex King of Crowd Favorite. We started about the same time, when WordPress was forked from b2. Alex started creating “hacks” for b2, and one of the hacks he created (which I requested) was to indicate which posts and comments were new since you last visited. I was pretty inspired by it and it encouraged me to dig deeper into PHP. My PHP skills at the time were not very good. Is there anything WordPress-related that you are developing in the pipeline that we can look forward to? Not exactly – I have not been doing much WordPress plugin development recently, other than making sure that my actively supported plugins work with future WP versions. I have been rather busy with my day job. But again, it is hard to say – I developed my latest plugin, WP-ShowHide, because I needed to embed a press release in a blog post. I’ll generally develop a plugin when I feel there is a gap in functionality that I can address – who knows when that will next be? If you have any questions for Lester, don’t be shy! Just make your way to the comments section below and ask away. Similarly, if you have any questions that you would like to be asked of plugin developers that we interview in the future, just let us know. Finally, feel free to make suggestions as to who you think we should interview next.